Thanksgiving is a great holiday to celebrate. It is one that leads to many different fun activities. It is about learning about the first Thanksgiving and the natives that lived on the land at that time. There are so many ways to explore the holiday. Plus it is a great time to give thanks for all the wonderful things in our lives. I thought I would round up all the activities on 3 Dinosaurs plus a few from others as well! This gives you one place to look for the Thanksgiving content on 3 Dinosaurs! You are going to find printables, hands-on activities sensory bins, and crafts. Loads of activities for everyone to check out. This is where you will find all the printables for the Thanksgiving Holiday. There is a variety of them on the site. I hope that you enjoy them all. 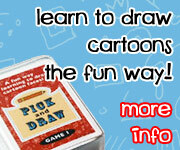 You are going to find learning to read, math, numbers, ABCs, themed packs and more. Check out the Thanksgiving Pack Update that goes wonderful with the original pack. This one add lots of math and language plus is great for ages 2 to 8. The Turkey Pack has over 50 pages of activities with a turkey theme. It is great for kids ages 2 to 9. Mini Thanksgiving Update at FreehomeschoolDeals.com a themed set with math and language activities. Dishes Pack is great for Thanksgiving. Learn the names of all the dishes you use. No Prep Turkey Themed Finds: ABCs, Numbers & Shapes is a great way to work on ABC, Numbers and shapes! It is a no-prep printable. Use these Easy Reader Pilgrim Books for Thanksgiving for working on words and early reading. I Am Not A Turkey Easy Reader Book is a great easy reader book about what the turkey is hiding as! First Thanksgiving Sequencing Cards, writing and easy reader book are a fun way to learn about the first Thanksgiving. Cooking A Turkey is also another fun Sequencing set for Thanksgiving or even Christmas. Making Pumpkin Pie is a great sequencing set for Thanksgiving. 30 Days of giving Thanks printable to help kids keep track of what they are thankful for. Check out the Thanksgiving Writing Prompts Printable. There are several to pick from. Here are some fun Thanksgiving Writing papers. You have turkey, pilgrims and more thanksgiving themes to use. These are easy to use no-prep Thanksgiving Learning with Digraphs. Fun CVC Find & Color Thanksgiving Fun is a easy no-prep printable to work on a few CVC words. Work on ABC beginning sounds with the ABC Find & Color for Thanksgiving Fun. Thanksgiving Themed Bookmarks are fun to have to keep track of your reading during the month of November. Thank You Writing Printables is an easy way to write a thank you letter during the season. Thankful Journal Writing For Kids is a great way to keep track of what they are thankful for. Turkey Counting Book is a printable I made for FreehomeschoolDeals.com. Thanksgiving No-Prep Math Packs has addition & subtraction or multiplication & division. Each set has 30 no-prep pages and a math center activity for kids to work on. Turkey Themed Number Color & Trace is a fun way to work on numbers 0 to 20. Hands-on Math With Turkey Ten Frame Cards are fun ten frame cards for 1 to 10 with an option to get the whole set for 1 to 20. Thanksgiving Themed Number Set 0 to 10 is a fun 1 to 10 set with books, puzzles, no-prep sheets and more! Have fun doing some hands on math activities with the Easy Thanksgiving Math With Addition & Subtraction. Do some hands-on numbers with the Thanksgiving Counting Mats for Numbers 1 to 10. For older kids some Thanksgiving Bookmarks. Check out the Roll A Cornucopia Printable is a great way to work on numbers 1 to 6. Easy No Prep Spin & Cover Thanksgiving Math is great for counting, addition and multiplication! There are 3 fun Thanksgiving Place Mats for entertaining the kids today! Turkey Feather Shape Tracing has 5 fun shapes for kids to trace and color for the turkey’s feathers. Thanksgiving Prewriting Printables are great fun for fine motor practice. Fun Thanksgiving Calendar Set with calendar cards in patterns. Here are some fun Dot marker Printables for Thanksgiving. Thanksgiving Menu Printable to help plan your meals. This is where you will find all the hands-on crafts and activities on 3 Dinosaurs. There is a collection of hands-on activities, sensory bins, and crafts. Counting Turkey Feathers is a fun hands on sensory and counting activity. Check out the hands-on use for a printable in this Thanksgiving Shapes post. This is a Thanksgiving themed Sensory bin with a book that matches up to it. The book is called: The Very First Thanksgiving Day . This Thanksgiving sensory bin was based on a book from the Natives point of view. The book is called Squanto’s Journey: The Story of the First Thanksgiving . You can make some fun corn with this Finger Print Corn Activity. Another fun craft is the yarn corn activity. It is great for finemotor and looks great as well. The Washi tape Turkey is tons of fun to make and looks really neat when it is done. It is also great for fine motor and kids don’t even know it. Washi Tape Corn is fun to make and build great fine motor skills. These would also make a great placemat for Thanksgiving. Fun To Make Model Magic Turkey is a fun craft for kids to make. Plus easy to change up for different ages of kids. It is great for working on fine motor skills. This entry was posted in holiday, round up and tagged ABCs, CVC, hands on learning, math, numbers, printables, round up, sensory bin, thanksgiving. Bookmark the permalink. Such great variety! I am sure some would make waiting for Thanksgiving dinner a lot easier for little ones too!